Sauté until sugar is dissolved. Pressure Cook for 35 Mins. 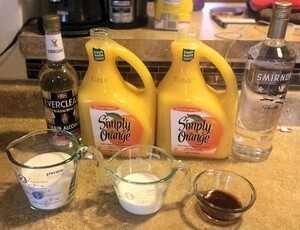 Let cool in the fridge, then add Everclear & Vodka to your liking. This has creamer in it so it NEEDS TO BE REFRIGERATED after putting it into your jars.